Join the ALE Train to Porto! Porto is far to travel to from many places in Europe. And it’s flight shaming times we live in. What an opportunity for a pre-ALE event to remember! This is our attempt to organise our travelling together – to give us even more time and space to connect, share and learn in ALEsome ways. Planning is still in its early stages, here’s the schedule as we’re considering right now. We’ll gather in Barcelona. You can reach Barcelona in around 10 to 11 hours from London, Frankfurt or Zürich, and much faster from Paris or Brussels. Some of us will travel on Sunday so as to enjoy Monday in Barcelona. Tuesday, 06:46 Boas vindas Porto! This will leave us with one full day for acclimatisation in Porto. Sightseeing, petiscos, wine tasting, some more pre-conf workshops and whatnot. On one hand, this will be a long and somewhat strenuous trip. On the other hand, it will be an invaluable occasion to reunite, connect and tune in to ALE mode. Like holidays, but better. We’re hoping to form a group of one or two dozen ALEians for this happening. Please tell everyone. Will you join us? Join the conversation on ALE Slack! 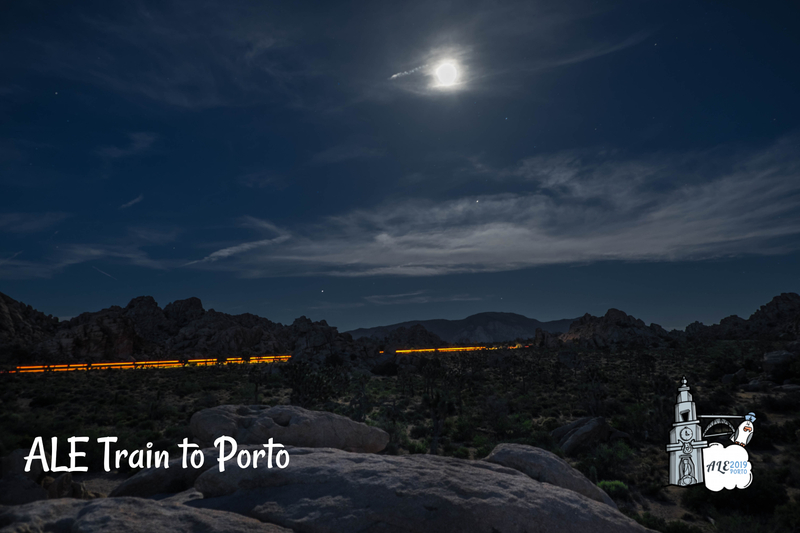 Night trains in Spain can be booked 62 days in advance. So June 20, 2019 would be a good moment to make those reservations. I’ve heard these trains are excellent quality, mostly two-bed compartments. Let’s check them out. A day on the train means full concentration on working, reading and conversations. Focus and relaxation. What more could you want! Co-organise with ALEiens from you direction to begin the ALE19 experience on Sunday already!